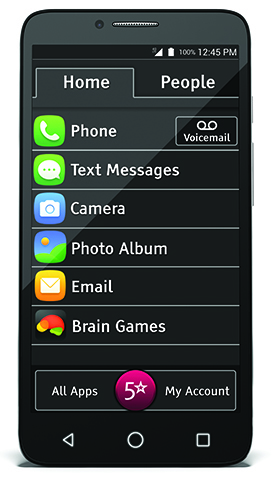 Amplified phones allow the user to increase volume and/or adjust tone of the incoming voice. Most models have visual signals and loud ringers. 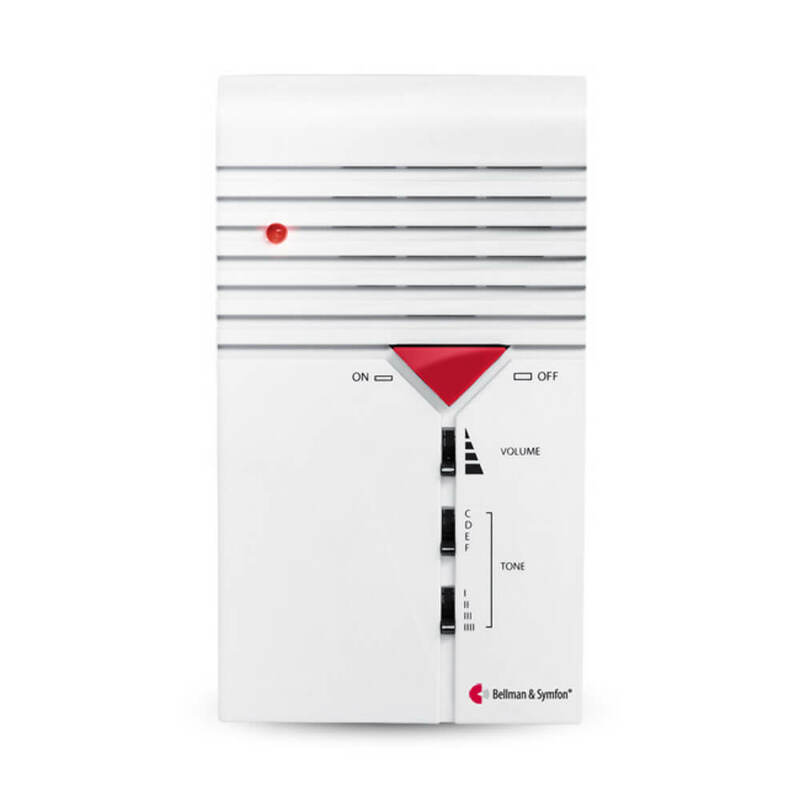 Our selection of signalers alert users to incoming calls. If there is a need for equipment that is not listed, please contact us. 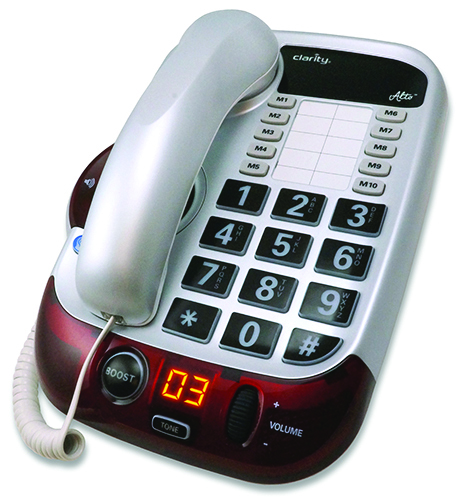 A desktop, corded phone with volume and tone adjustments. 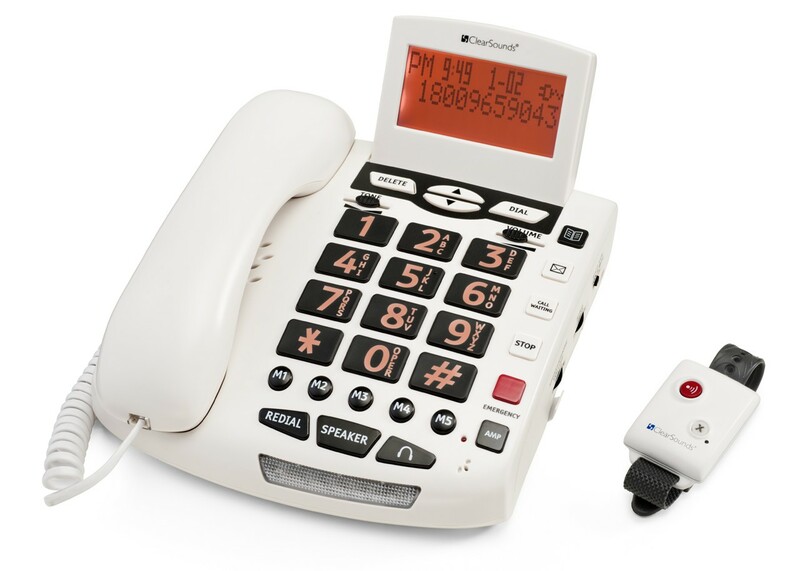 Amplified speakerphone with wristwatch-style remote control transmitter. 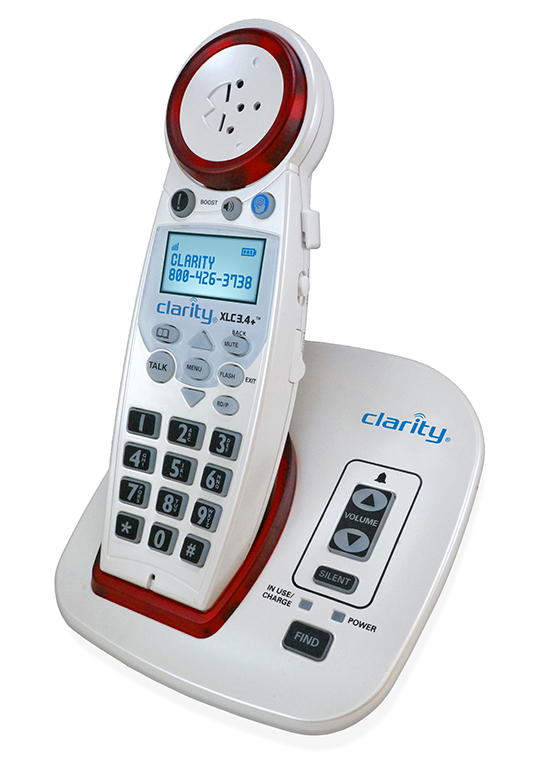 User presses remote control and the phone will automatically dial pre-programmed contacts until there is an answer. All cell phones require accessories for amplification. (Service provider Verizon) no contract required. 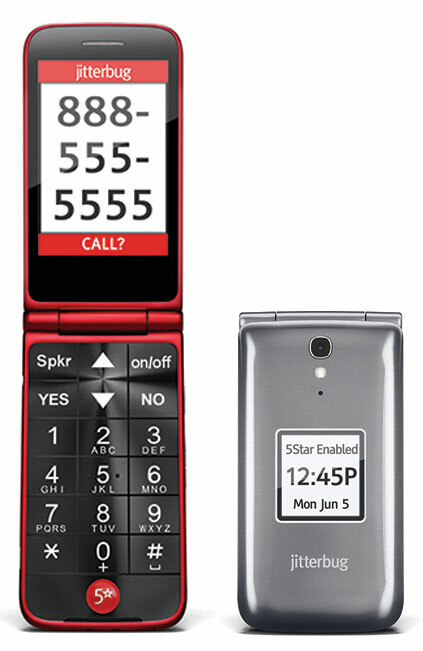 Easier is better with the big button, large screen Jitterbug Flip. Loud ringer, for hard of hearing. 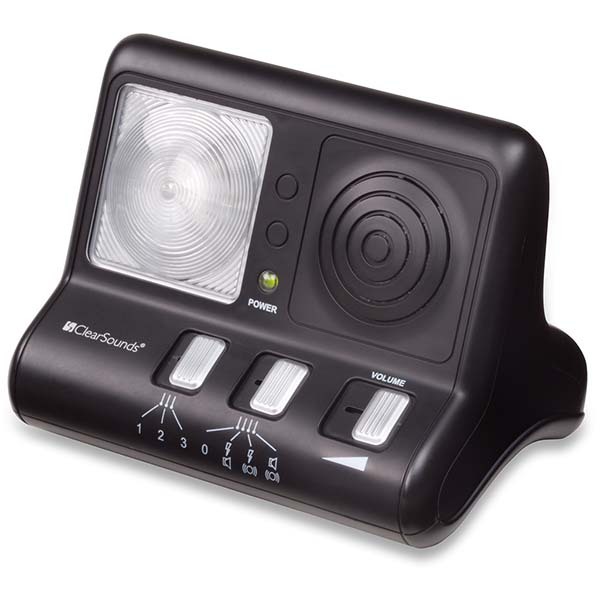 Visual and audible; includes loud ringer and flashing light.